We have a climate that can best be described as the very epitome of indecisive. 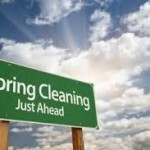 And that might often scupper plans for say, barbeques, or even holidays here. But we’re on a good run recently! But, regardless of the weather, there’s no doubt that the Irish landscape is a thing of rare beauty. Whether it’s the rugged coastline to the west, hewn from the relentless march of the Atlantic Ocean, or the outstretched carpet of rolling green that dominates much of our landscape, Ireland has more than its fair share of breathtaking driving routes. Here is just a small selection of some of our favorite routes for road-trips in Ireland. 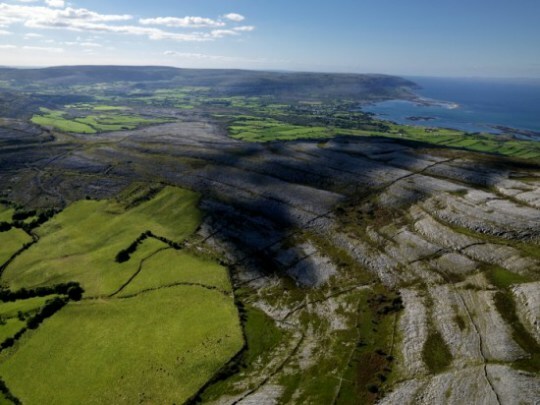 Experience Ireland’s rugged Atlantic coast in all its glory with a north to south route along Clare’s shoreline. Drive along the world renowned Cliffs of Moher, some of the highest (and most spectacular) sea cliffs in Western Europe. From here, enjoy the panoramic view of the Aran Island. To explore more mountainous terrains, beautiful sea views and unspoilt valleys, drive through the Burren, a natural rock garden known for its exceptional fauna and flora. The Causeway Coastal Route follows the shoreline between two historical cities, Belfast and Londonderry. Drive through some of the most spectacular scenery in Ireland via the Glens of Antrim, an ancient volcanic area which has wrought the landscape with beautiful forest highlands and awesome sea cliffs. Then, visit the Giant’s Causeway. With its iconic 40,000 basalt columns, it is a world famous site where one the most famous Irish myths of all has its roots. Drive inland through the village of Bushmills to visit the oldest working distillery in Ireland, before heading back towards the coast for a stop at Dunluce Caslte, with its spectacular location just above the sea cliffs. 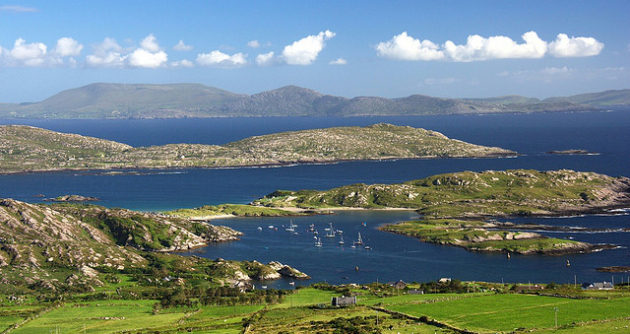 The 179km Ring of Kerry is world-famous for its stunning lakes, mountains, seaside villages and incredible views. The road, which starts in Killarney, follows the contour of the land, offering spectacular and unforgettable panoramic views. Stop off at Derrynane, one of Ireland most beautiful beaches, before moving onto Waterville, a quiet seaside village halfway round the Ring. From deep forests with impressive waterfalls and beautiful lakes to the crashing waters of the Atlantic, the road contains one majestic landscape after another. A paradise for photographers and a must-see route for anyone visiting Ireland. 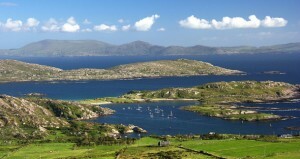 Starting from Clifden, the capital of Connemara, the Sky Road is an 11km long circular route which takes visitors out west from Clifden. 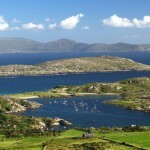 Drive along the Sky Road to follow one of the most beautiful rugged coastlines in Ireland and stop at the highest point of the road to enjoy a panoramic view of Clifden bay and its many islands. 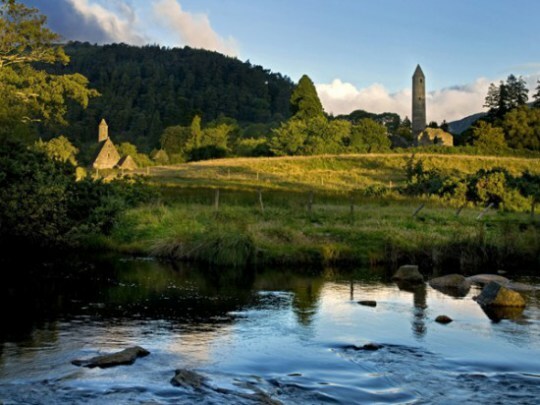 County Wicklow, known as the “Garden of Ireland”, shelters one the country’s most visited beauty spots, the Glendalough Valley. 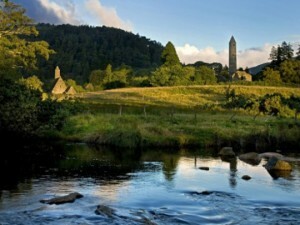 The “valley of the two lakes” is located in the Wicklow Mountains National Park and is renowned for its spectacular scenic lakes, green-valleys and abundance of wildlife. The place is also known for its archaeology and rich history, especially the world famous Monastic Site with Round Tower. The extension of property tax to holiday mobile homes will not affect the travelling community on the grounds that their residences are fitted with wheeled axles. 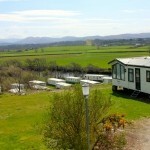 The Mobile tax extension due to be enacted later this year will be levelled on all permanent holiday mobile homes which are left in situ year round. A Fine Gael government spokesperson stated that all continental chalets across the European regions have been brought in line with property taxes since 2010 and the equivalent Irish model now needs to follow the EU directive. Mary Connors a spokesperson for Pavee Point Travellers Association insisted that “the Travelling community are happy with the government’s decision to exempt their members from the burden of extra taxes in these hardened times”. She said it was hard enough to keep up with the new water charges and enforcement of the TV licences and was thrilled that the representations of their positions put forward through their local TDs had borne fruit. Mr Jim Byrnes, Chairperson of The Irish Caravan & Camping Club came out strongly stating their members would not take this sitting down. Mr Byrnes said they were still fighting the enormous water levy’s put on their Caravan Sites and were doing everything possible to avoid passing on these charges to the site residences. He further stated vehemently that “concentration was quickly focused on them after the long hot summer of last year and now that life has been injected into their sites the government should leave them alone for now”. The government spokesperson was making the point that they were spreading the costs in taxes to all sectors and that families with holiday residences can hardly say that they are the less well off. The spokesperson further added that was seen has fair and just that many people with continental apartments and chalets who were already paying taxes in those countries should not be penalised on their own.